The remaining players are now on a 60 minute dinner break. 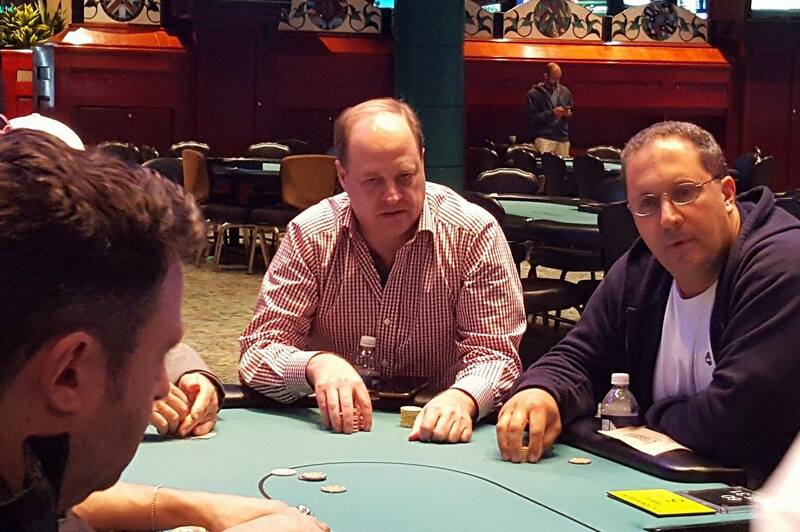 They will return to play Level 14 (1,000/2,000 blinds and a 300 ante). There is nearly 20,000 in the middle, and the board reads 4♦3♦2♦2♠. Laurie Hilton is first to act in middle position and she moves all of her chips forward. The player in the hijack asks for a count, and upon hearing the 28,900 total, she goes into the tank. Over three full minutes pass before the hijack says lightly, "Ok, I call." None of the players or the dealer can hear her and so that dealer asks her to confirm. "I am all in," the hijack says slightly louder this time. Hilton turns over Q♦Q♠ and the hijack pauses for nearly thirty seconds before turning over 6♥6♠. The J♥ river is safe for Hilton and she doubles up. 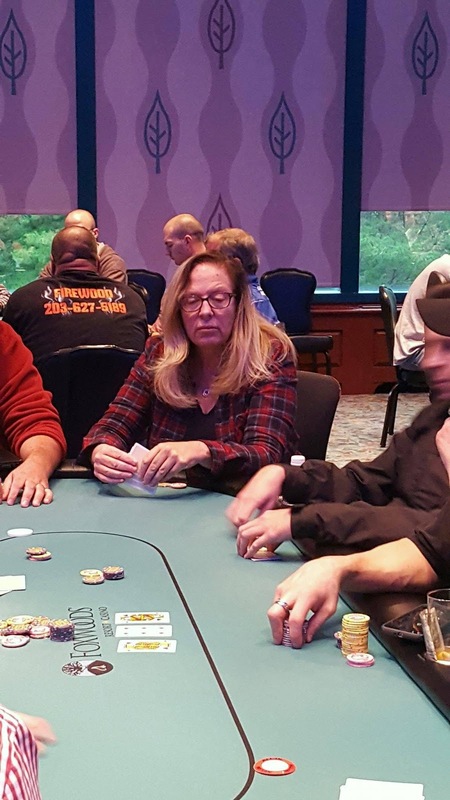 There were a total of 264 entries in today's first flight of the $600 No-Limit Hold'em Re-Entry Event #1. They will play down to the final 32 players before bagging and tagging later tonight. Those 32 players will join the advancing players from Flights B and C to play Day 2 on Tuesday at 12:00pm. All players to make Day 2 will return in the money. There were a total of 63 entries in today's $300 Omaha Hi-Lo 8+ Event, generating a prizepool of $15,889. The top 9 places will be paid, with first place taking home $4,767. 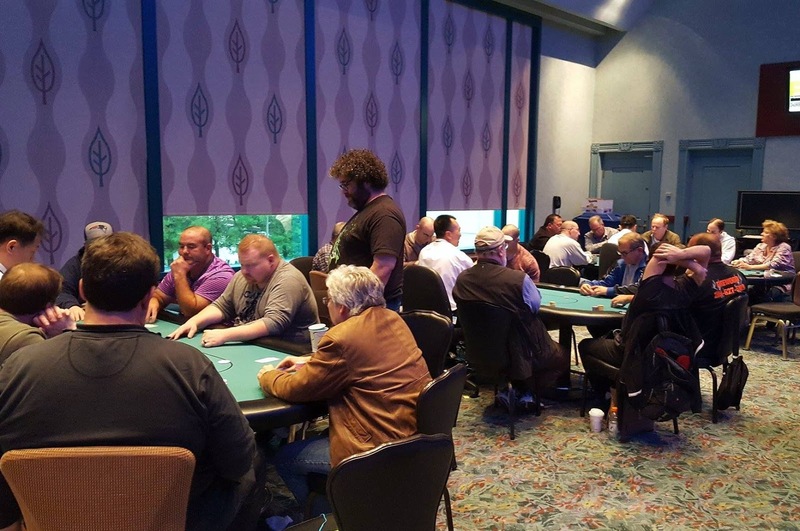 At this time, they players are in the midst of Level 7 (200/400 blinds and 400/800 limit), and 61 of the 63 entries remain. Players are now on their second 15 minute break of the day. They will return to play Event 9 with 300/600 blinds and a 100 ante. The clock currently reads 250 entries, but we will bring you the official final numbers after the break/end of registration period. The board reads A♠10♣7♠. 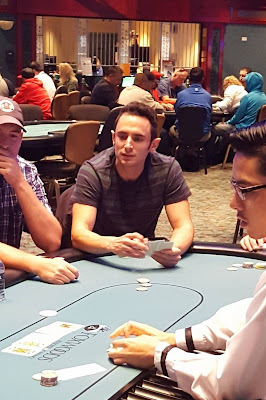 A player in the small blind checks, and Tim Reilly shoves all in from middle position for 8,500. The small blind thinks for nearly thirty seconds before calling the 8,500. The Q♦ turn does not change the hand, but the 9♠ river gives Reilly the flush, and he is awarded a full double up. Reilly is a Foxwoods regular and has over $1,000,000 in live earnings to his name. Event #2 is now underway. At the present moment there are 25 entrants at the very start of Level 1. Players wishing to enter have until the the start of level 5 to do so, but there are no re-entries allowed in this event so once a player is a eliminated they do not have the option to re-enter. For full details of this event, including structure information, please see below. Here are just a few of the notables in the field so far in the first of three starting flights of Event #1 - $600 No-Limit Hold'em Re-Entry. 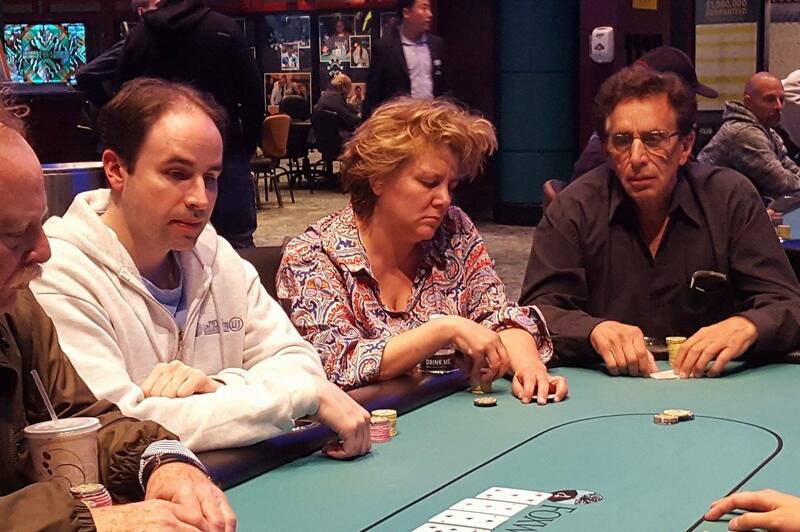 Foxwoods Regular David Lane has just doubled up in the first level of the day. Lane held 3♥2♦ against his opponent's A♠Q♦. It's unclear when the two got it all in, but Lane has flopped two pair, while his opponent, Robert Skinner had flopped top pair on the Q♠3♣2♣ flop. The turn and river did not improve Skinner's hand and he was eliminated from play just shortly before the start of Level 2. Flight A of Event #1 is now underway. At the present moment, the clock shows 99 entrants. Anyone wishing to enter/re-enter has until the start of Level 9 to do so. This tournament hosts a whopping $500,000 guarantee, and features three starting flights. Full information about this event, including structure sheet can be found below.